Toyota is hinting that its 2019 Toyota Prius for the North American market will have all-wheel drive capability in its new model year. During a recent press event in New York that featured some sub-30F temps, a Toyota employee offered Torque News some exclusive information on the new 2019 Prius that had to do with cold weather. Rather than keep that information secret until the end of November, we declined the invitation to hear the full details. Today, Toyota released an image of the 2019 Prius with the text, "2019 Prius Ready for Sunshine or Snow at 2018. 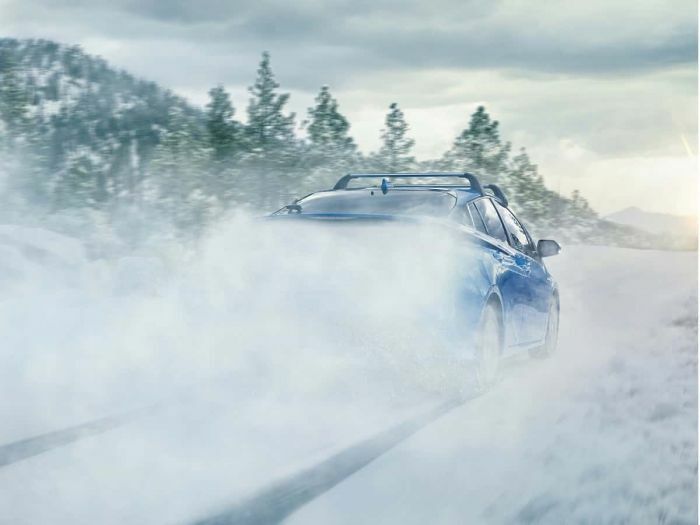 Fall is here, winter's near, but the 2019 Prius performs on roads whether snowy or clear." The image above indicates that the Prius will have all-wheel drive. The Prius is presently offered with AWD in the Japanese market.